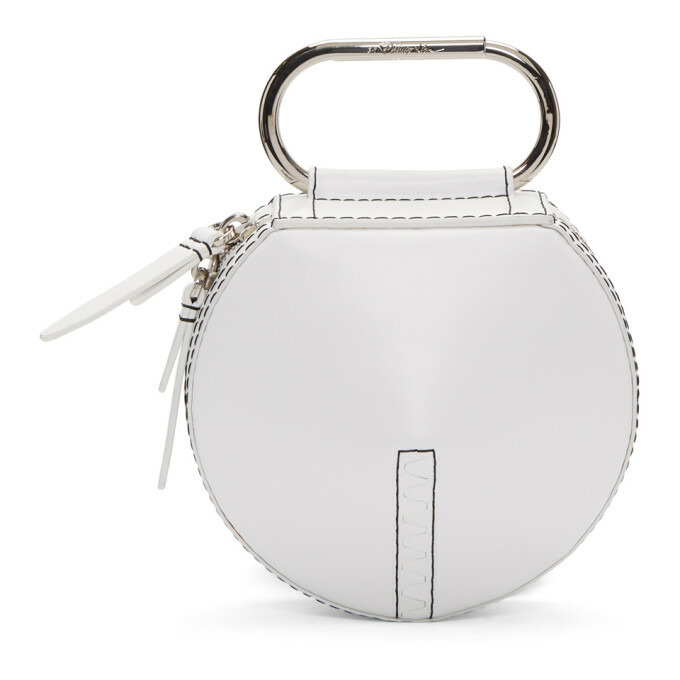 Structured brushed leather clutch in white. Signature logo engraved paper clip carry handle at top. Two way zip closure. Card slots and gold tone logo stamp at interior. Tonal twill lining. Silver tone hardware. Contrast stitching in black. Approx. 6.5 diameter, 2 width.